This visitor's center in Baltimore chose our 55" LCD Guardian to protect and showcase their touch screens in a public location. 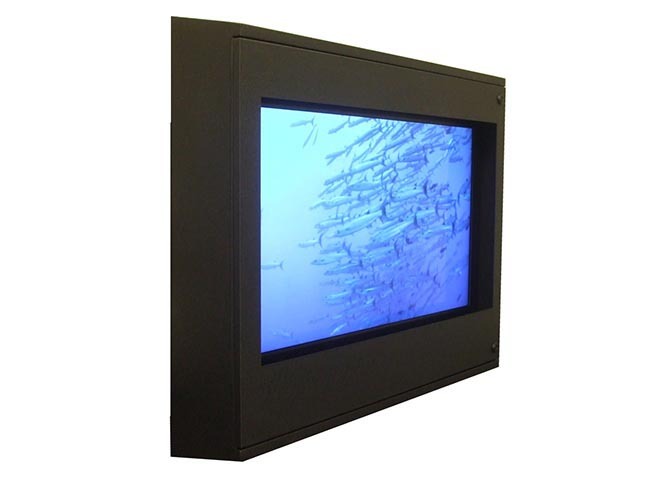 LCD TV Enclosures are a great "show stopper" for Movie theaters and other outdoor / retail applications. 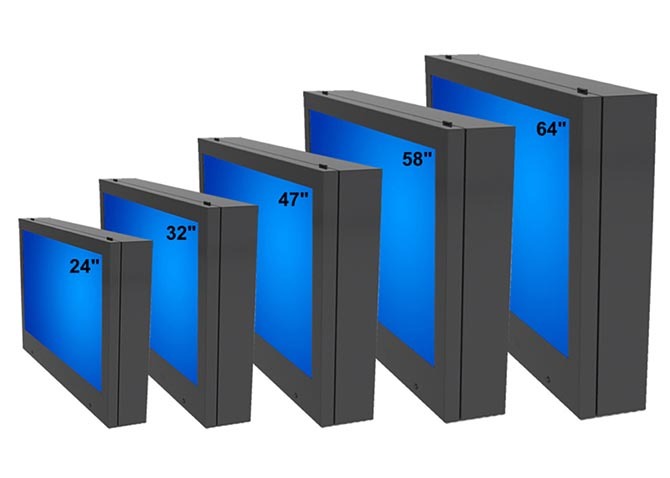 TV and Computer Enclosures for Industrial, Retail, Public, and Outdoor Locations. We offer TV Enclosures for weather, tamper, and theft protection in any environment. products by Insight Digital Signage provide indoor / outdoor digital signage and information solutions for industrial settings, movie theaters, airports, restaurants, shopping malls, office / hotel lobbies, train and subway stations, arenas and convention centers, as well as drive thru digital menu board applications for quick serve restaurants. We can design and manufacture any custom enclosure. A stainless steel TV enclosure can be installed in locations where it would not be possible otherwise such as a beach front restaurant patio. Stainless steel LCD enclosures must be water and dust tight to stop particle build up and water leakage that can lead to failure of the internal TV or PC. The finish of the stainless steel that it preferred and provides a nice retail or high end look is a brushed finish. 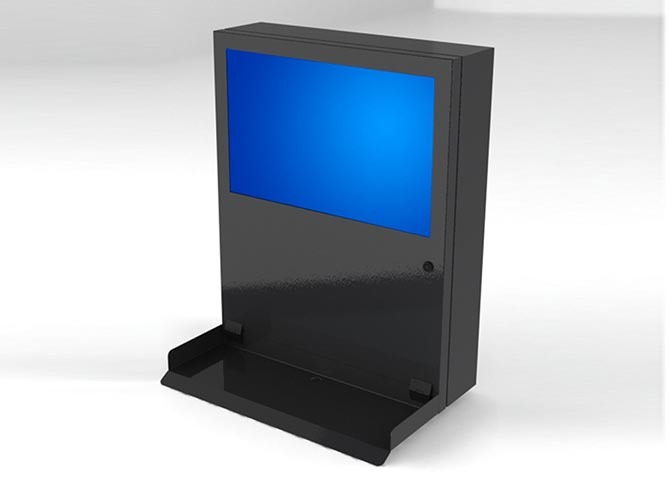 Check out our new Vision Kiosk product! Toll Free Phone: 866-646-4383 | Email: info@InsightDigitalSignage.com | ©2017 InsightDigitalSignage.com. All rights reserved.